6. Support YouTube, Youporn, Redtube; Weather forecast, Jamendo, Yahoo news, picture etc. 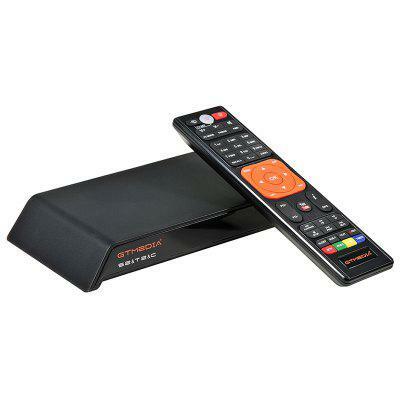 Want to be notified when the GTMEDIA V8 PRO2 DVB - S2 / T2 / C Full HD 1080P TV Box WiFi LAN gets even cheaper? Make sure you snag the best price by entering your email below. We'll email you when the price drops, free! We're tracking the price of the GTMEDIA V8 PRO2 DVB - S2 / T2 / C Full HD 1080P TV Box WiFi LAN every day so you know if that deal is really a steal! Check back for to check the best price for this product - and whether its current sale price is really the cheapest it's been! No GTMEDIA V8 PRO2 DVB - S2 / T2 / C Full HD 1080P TV Box WiFi LAN coupons found!